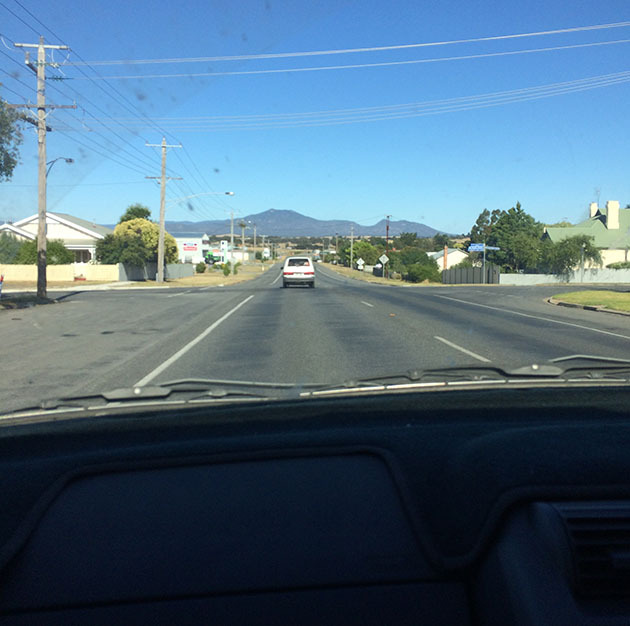 I journeyed with Tangerine Man* (my husband), on an 8-hour each way road trip for a couple of days to Melbourne, Australia, and came home with some fresh perspectives. We saw a wonderful skull exhibition at a gallery we’d not been to before. Took trams and trains – Melbourne has a great public transport system – and despite taking ‘wrong’ ones and getting on and off at various ‘wrong’ stops, made it home with generous amounts of walking. Found out that I am kind of soothed by op shopping (thrift store shopping) … Kinda disappointed but I guess it could be worse, right? It could be expensive or do no good. I have noticeably progressed with my FODMAP foods self-knowing. No problems while away, hoorah! I discerned my quantities, and even ate at a mexican restaurant! Went to Side Hustle book tour talk. 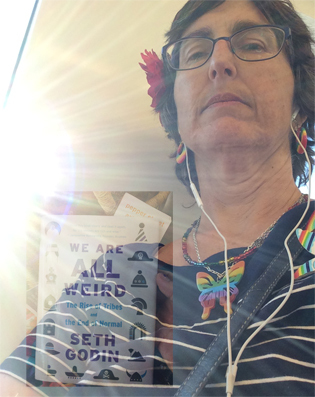 After a long day of walking and crowds, I lit up in recognition of ‘my’ people in the queue. 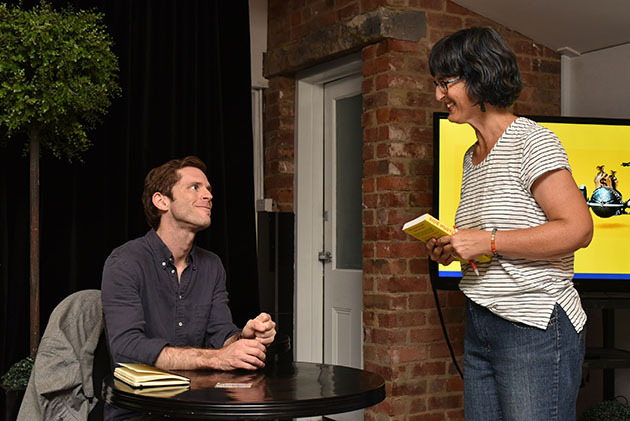 Chris Guillebeau speaks well, using stories to creatively make his points, is appreciative of his world wide community, and was friendly as he signed my copy of Side Hustle School. [Currently reading it!] “What’s next?” Photos of the event are here (glad I somehow knew it was wear a striped top day!) and were taken by Peter Fritz who is doing interesting work supporting mid-life reinvention. 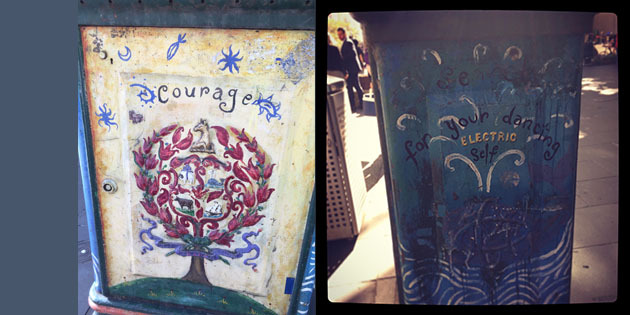 Saw lovely art making a statement on an everyday electric hub thingy. Do you know who painted these? Recorded some grids on footpaths (sidewalks) … they might make nice textures for photos, or patterns for pictures. We’ll see. On that note, do you want me to illustrate/decorate your Word of the Year? Check out my new service here. I resolved to make a priority of art in 2018 … my next blog post is about how I’m going to make sure I do! How has your year started, dear bold soul? 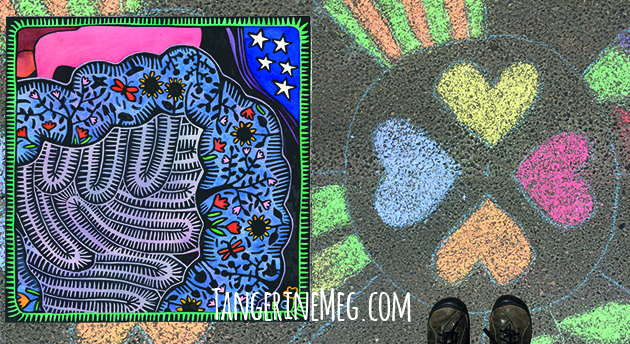 I’d love to hear… drop a comment below or on my Tangerine Meg Visual Artist Facebook page. Thing to remember: 2017 is not over. I’m not summing up something that is, as yet, incomplete. All the same … what’s been making a difference so far? Tangerine Man and I moved into our new house, which is a big, wonderful change *and* we’re still de-fragging boxes, belongings, baggage! We inherited some beautiful green curtains, and this week got the ikea hardware to make them work. Lucky us, they fit just right and need no further adjusting. I formed my new studio into a video shoot backdrop (see background of next picture at left). Glad I got it functional early on, though the rest of the house is scrambling to catch up! We lost our other old orange catboy. After caring for small, medium and large dependants for 27 years, we’re taking a short pause (paws?) from pets. 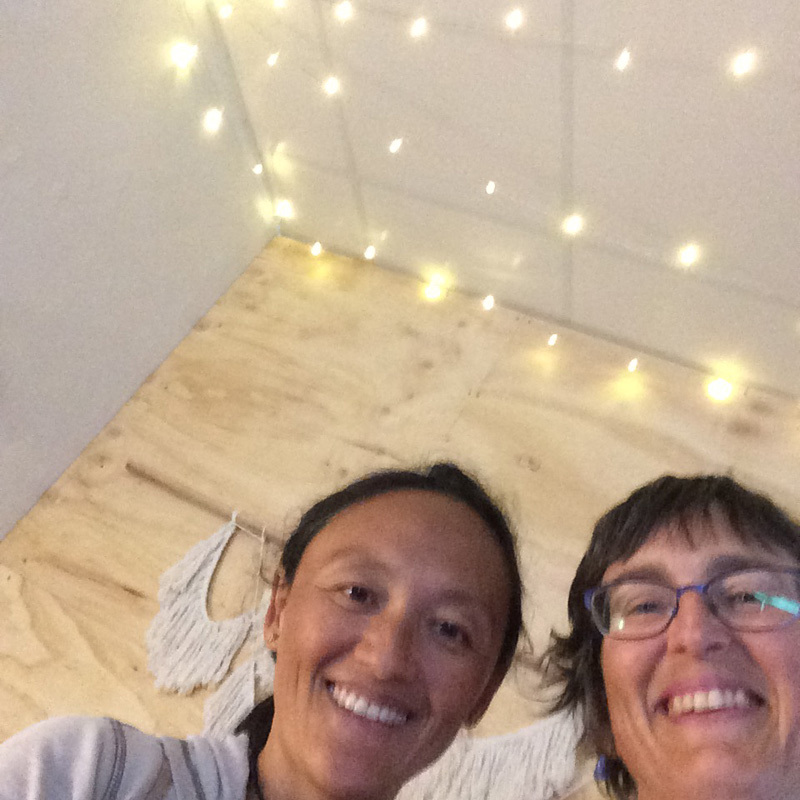 After those big changes, and many months, I/we are settling down – feeling ownership, starting to viscerally get that ” … we don’t have to move”. 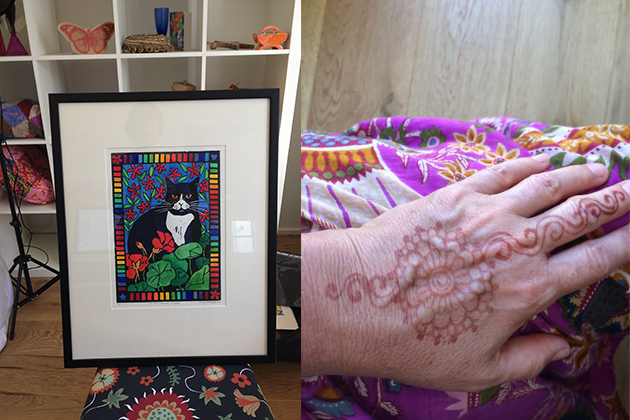 How is it that I feel *more* like myself when I have henna on my hand? I imagine folk with tattoos get feels something like this. My capable hands are starting to look like an old lady’s hands in photos. 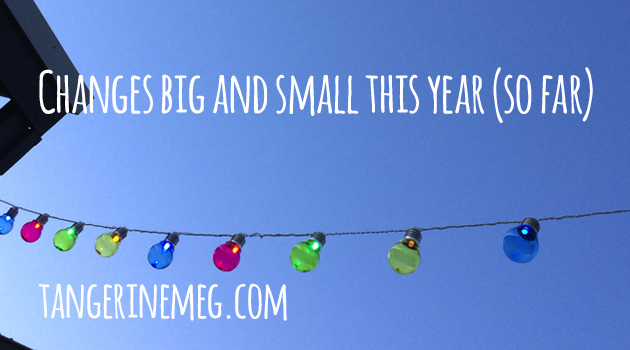 Are you noticing some changes that come with time passing, too? This year, I doubled the size of pages I write on each morning from A5 to Julia Cameron‘s recommended A4. And more recently, I added in some gratitude recording (3 Things I’m Grateful for) in the morning along with about 3 core desired feelings (CDFs), and a Martin Seligman suggestion, a What Went Well and Why recap in the evening. 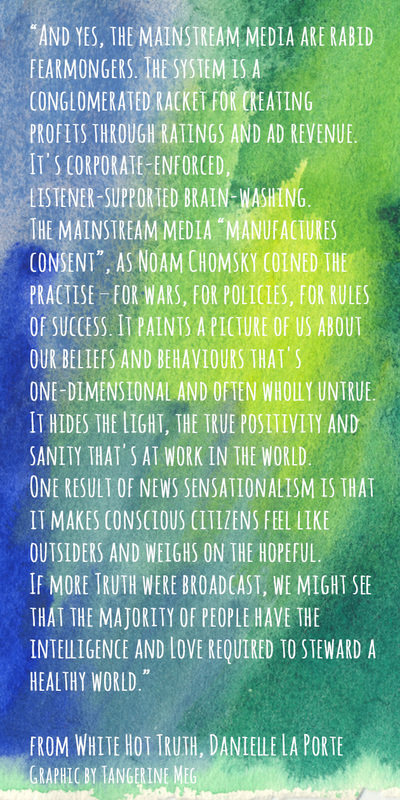 This has helped be more in touch with an optimistic perspective – aware that I’ll be recording these – and I’ve enjoyed having a dedicated time in the day to not only debrief and plan, but also to practise with words and language. Lately, I’m getting closer to the crux [not the horcrux!] of this FODMAP and inflammatory foods digestive puzzle. I guess, why should a whole bunch of crap being touted as food work in a human body? Even if you don’t want to lose weight or look younger – JJ Virgin addresses us as though we do – this book is important to read. Well done, Australia on #MarriageEquality! Hoorah! Pause for a minute, breathe and enjoy, then no doubt the next challenge will need our energy! Trying to remember: a helpful thing to do amidst the flurry is to pause and remember to be grateful. Do you do that, too? PS Want to gift yourself (or a fellow cat lover) *Cosy*, my December Print of the Month? It has a somehow both an awake *and* snuggly atmosphere, just right for a bedroom or other room of relaxation … check out on the right below for a close up peek at the paper texture. PS3 This post is kind of a listicle without a numbering system, isn’t it? Oh well, at least there are lots of pictures! Happy day, bold soul. Thanks for reading right down! I enjoyed the book, White Hot Truth by Danielle LaPorte. Have you read it? What did you think? She espouses that our search is very personal and we have a lot of independence, and there’s also some big stuff trying to weaken us. ‘Hidden’ in the book is this ^^^ paragraph. And once you see it, you can’t un-see it. PS 2 Would you believe? I now have a homewares section on my website – how exciting! Today I made time to enter all my available cards, which now total 95, not including a few discontinued pictures that you can still get in person at markets! If that gives you decision fatigue by osmosis, there’s a link to the Serendipity packs of 10 – picked for you, on a theme. 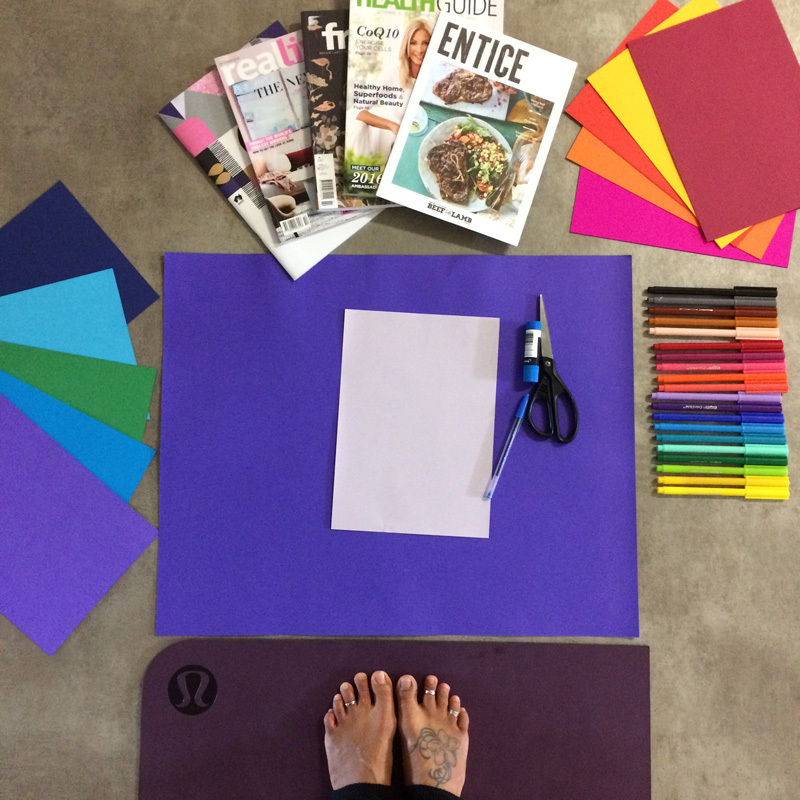 What is a Vision Board, anyway? 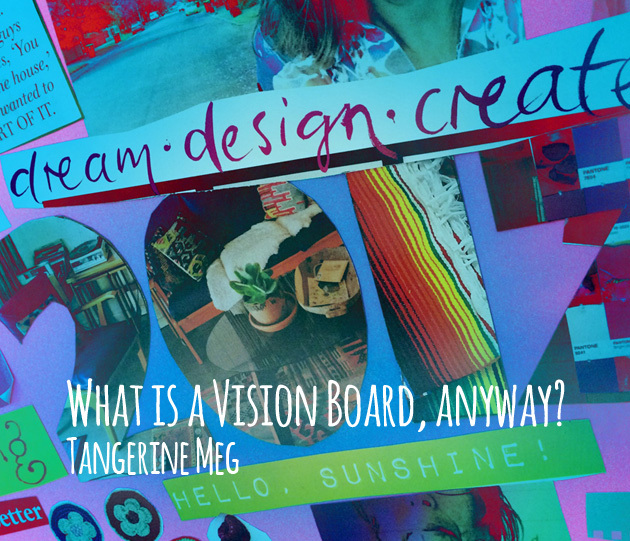 Have you made a Vision Board before, kindred spirit? Was it fun, useful? 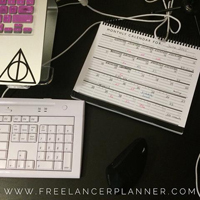 I can’t remember where I read it, but I agree that business and life planning is more like guesswork and parenting (see also: guesswork) than it is like say a spreadsheet or a static list. If you start off the year knowing what you intend, you can fine tune or even re-think the details along the way as things become clearer or evolve. Vision Boards are more of a light, a guiding hand-hold reminder of, “..is that what we wanted?”, “remember we thought we’d aim for this …” It’s a message from Now Selves to our During 2018 Selves. Another activity I find valuable at the end/beginning of the year/s is writing and answering difficult questions. I’ve sourced my set from a variety of places, and you could write them for yourself if you’re good at creating insightful questions! It’s also useful to summarise yearly income and outgoings, ‘specially with a business and not a GoTo job, thought it’s good to have your head around money stuff, either way. I like to take the opportunity of the down time week between Xmas and New Year and spread out all the magazines I can lay my hands on, cut out way too many things that light me up – inspiring or relevant phrases, pictures of health and home, archetypal ‘me’ images I relate to, usually some pictures of well-lit fruit, and illustrations of happy people in fields with balloons or flowers. 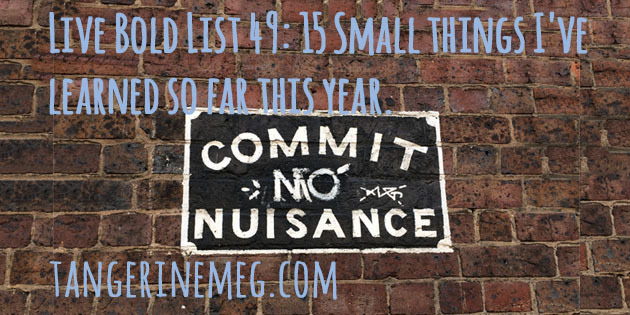 Then I cull cull cull, down to the crux of what I want to hold in mind for the year as best as my creative dancing mind can hold. It works, though … when I look at my vision board now in October, it still makes me happy and reminds me of XmasNewYearMe’s goals, inspiration, intentions. I’ve make something I love to look at: a rainbow of colours, uplifting phrases, things I’m aiming for in my life, words that make me feel like I’m speaking and anchoring my truth. Paste it all on. It’s right there, and doesn’t talk, it shows, so it works quickly and is more accessible than say a hidden word document on your computer (though they’re useful for plenty of things, too). Adelaide Bold Souls, want to book in some accountability? 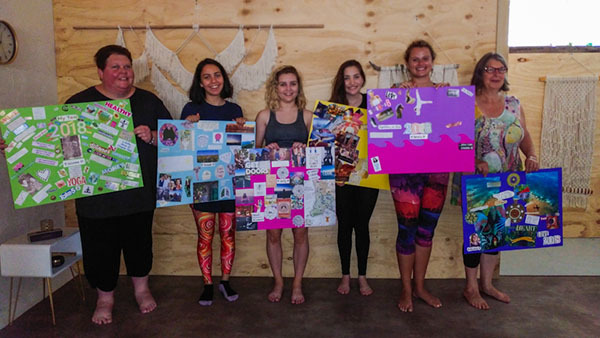 Have you been meaning to make a Vision Board for years, and never quite gotten around to it? Or want to make a start early, so that in December/January you simply add in your last sunny epiphanies and then you’re done? Or, gah, don’t want to make a beautiful in-progress mess for the cat to sleep and stretch all over, or get out AllTheEquipment and the good stuff gets taken by small loved people into different rooms not to be found for ages? We’ll have lovely colours, plentiful magazines to cut and paste, kindred spirits to keep you company or even to help you find that picture you’re after, good scissors and sticky glue. So it just works. Go here to book your spot. See you there? Technology permitting there’s a link below. If not, click this to go get your limited spot. The strictly limited spaces are almost half booked as of this writing. 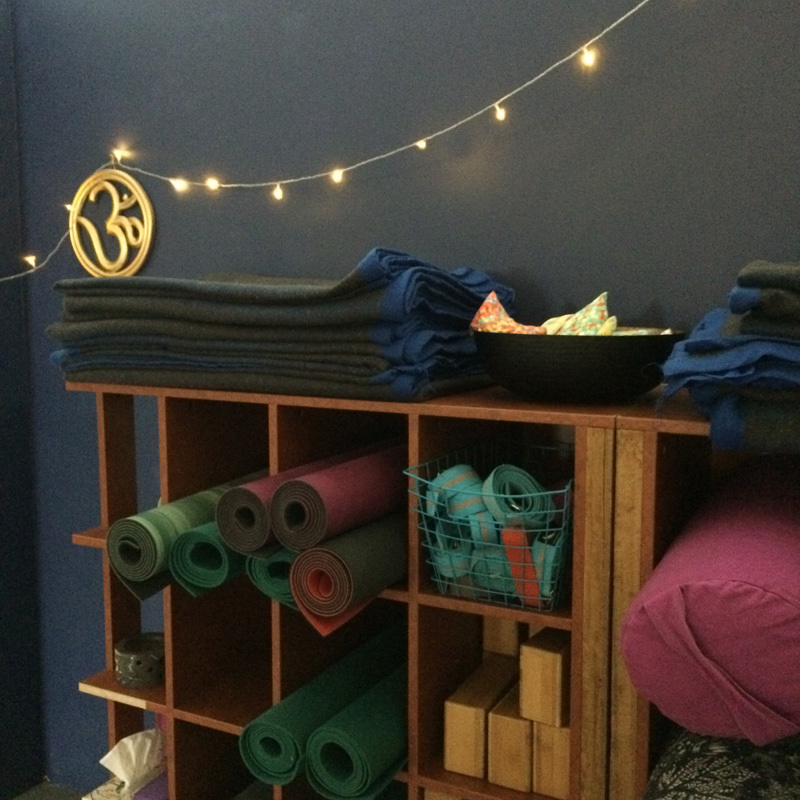 These pics are from our practise run last week :) Salt Yoga is a gorgeous venue, right? 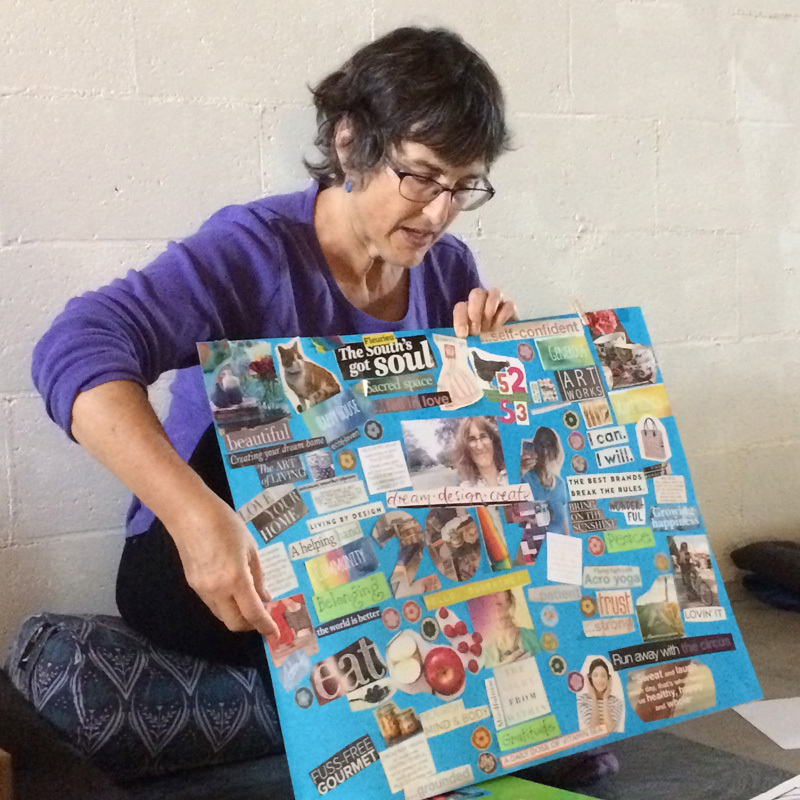 Even if you can’t or don’t want to do this Vision Board workshop with me and Yaisa – there are only 12 spots after all – post a picture of your Vision Board on my Facebook if you like. I’d love to see! PS2 Cat art calendars are back in stock! Custom Cats are nearly booked out for the year – one spot left. You can still get your October Print of the Month here. Last week I assembled the final pieces for something I’ve been wanting to offer for ages. I was recommended to a place that does superb quality giclee prints, ordered a few to test out both the print and choose a suitable paper stock, figured out how to pack and mail them, and set up my online gallery shop with the first one! 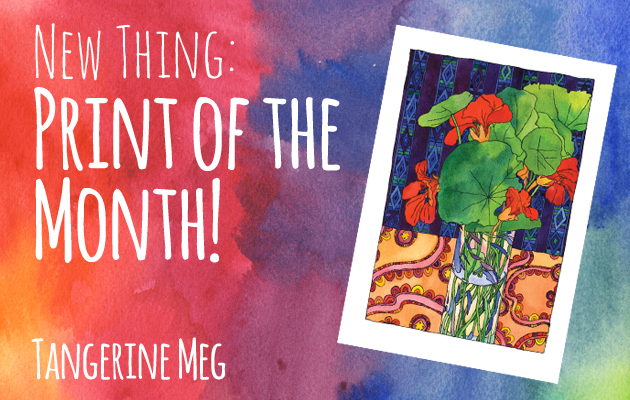 Print of the Month – it’s here! I’m now offering superb reproductions of my artwork in limited editions – just 25 this time – printed with archival pigment ink on gorgeous acid free paper, hand-numbered and signed by yours truly. This inaugural edition will be available throughout October 2017 or until 25 are sold, whichever happens first. The paper size is A3 (297mm x 420mm or about 11.5″ by 16.5″) allowing white space around the image for mounting if you choose to use it, though it also would be perfectly lovely displayed in the crystal clear cellophane bag it will ship in. There’s a foam core backing so you can lean it up in your office or sun room for display, or get a simple A3 frame to show it off. This is still in the experimental phase – note the beta price which I’ll hold for as many months as I can before I need to increase it! You had me at Print of the Month… Technology permitting, just below this sentence is a little picture and Add to Cart button, etc. If not, click this to get whoooshed to see the current Print of the Month in my gallery shop. What have you taken step-after-baby-step towards and made come true that you’ve really wanted? I’d love to hear, either below or in the Facebook comments. PS2 I’ve been sending our Bold Art for Bold Causes order percentage contributions to TPRF as usual, lately directing it to “Where the Need is Greatest”. There is much humanitarian aid needed right now. Sending love and light to affected souls, too. 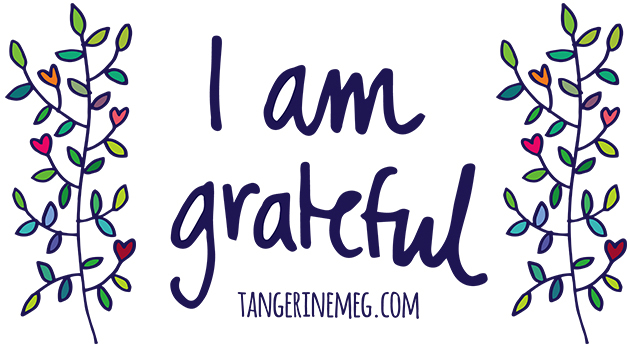 I so appreciate you – thank you for coming here, and reading this! Pretty sure I’ve featured this Georgia O’Keeffe quote before; it fluttered again at my temples for this nasturtium still life picture with the reflect-y refract-y light in the glass. 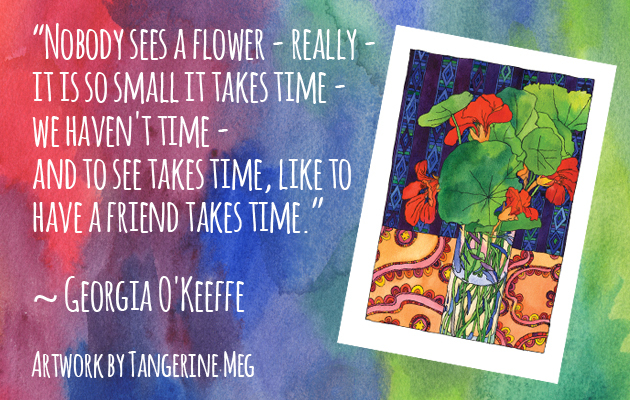 It’s such a lovely thought, ‘cos it reminds us to make the time to see a flower and/or a friend. Funny that she would’ve said this back in the 1920s or so, and we can barely imagine things being so time consuming as they are now… I guess there’s always a juggle! This my favourite sign at the Marriage Equality Rally, and what a perfect segue (segway?) 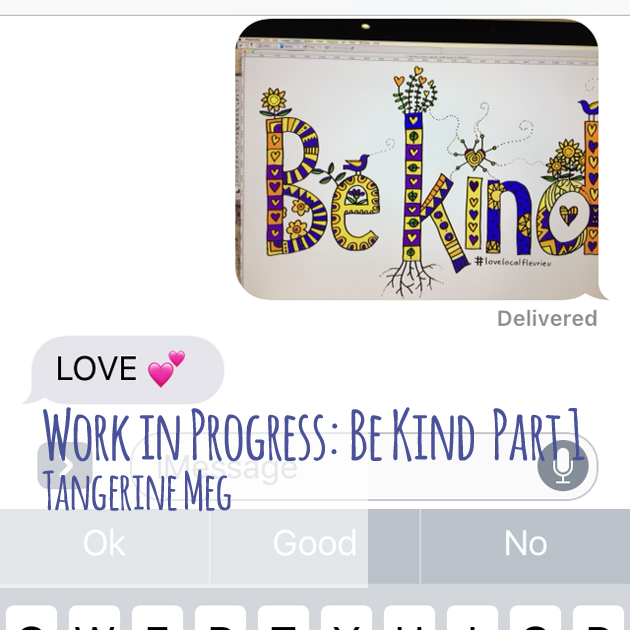 from Work in Progress: Be Kind – Part 1 to the second set of photos! 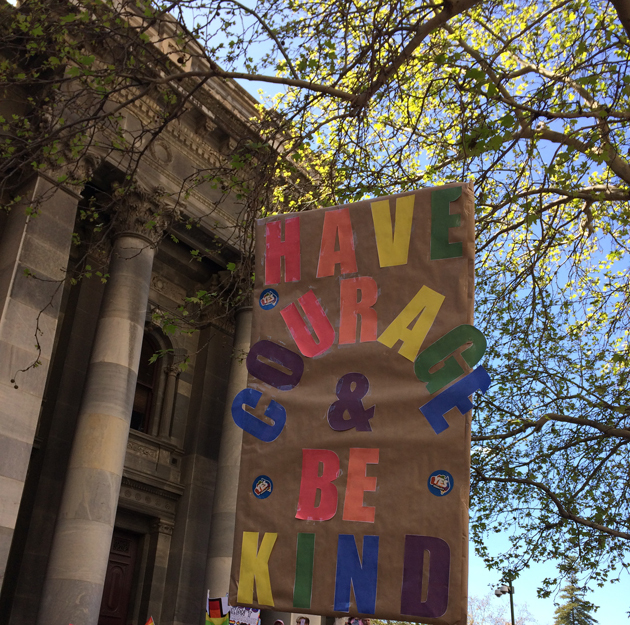 It was really nice to be at a rally for something positive – recognition of love – rather than the recent need to show up and shout about destructive things that need to be stopped! I know there will likely be further steps once the law changes (back) but Marriage Equality is at least a measurable, specific goal along the way. There were other great ones, too, but I can’t remember all the cleverness, d’oh! Here is my favourite sight… So iconic and happy, right? 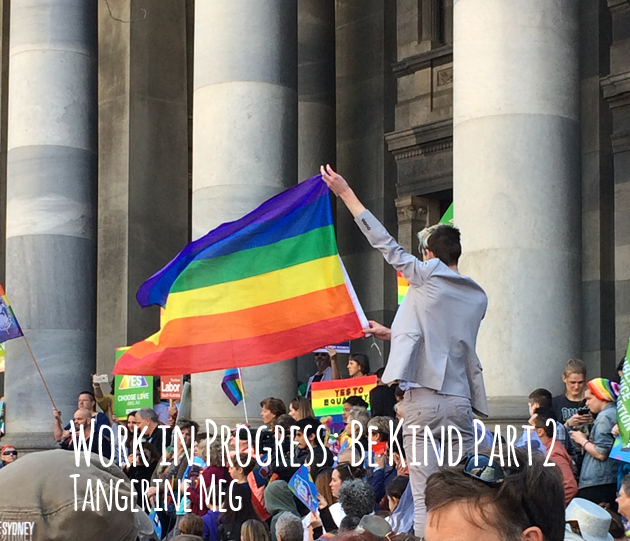 Re-looking through the pictures, I’m liking the grand grey classical architecture as a backdrop to the rainbow finery. I’ve kept people back or side view as much as I can, because I don’t know how to begin to find anyone who’s in the pics, so I’ve gone with an I-can’t-ask-their-permission-so-I’m-not-including-their-faces-on-my-blog policy. 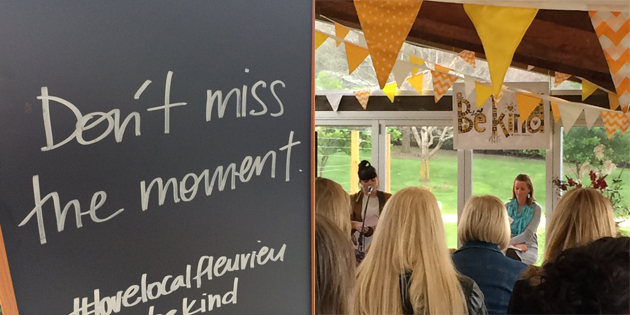 We couldn’t hear the speeches, just the chants – the organisers hadn’t realised just how far the amplification would need to reach! It was a 5,000 strong crowd, reaching beyond the tram line in the centre of the road! 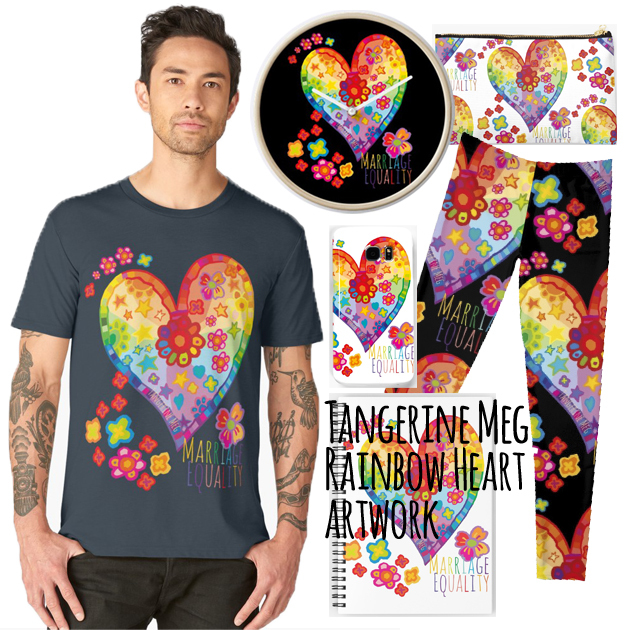 These t-shirts with my art on them have been selling well… Us Australians must be taking our time to get around to this, ‘cos I made this artwork years ago and we’re still working on it. Click the picture if you want to order a t-shirt, clock – “It’s time!” – leggings, or phone cover, etc, for your very own! Can we pleeee-ease Be Kind and inclusive? There’s beyond enough destructive squabbling on this planet right now. Can we please reach out with a little kindness to each other? The whole of society is stronger if we include everybody. The Australian marriage equality postal survey is nothing but what it says – it’s not linked to school programs, or to the decisions of churches, or other incorrectly associated things I’m not going through here. 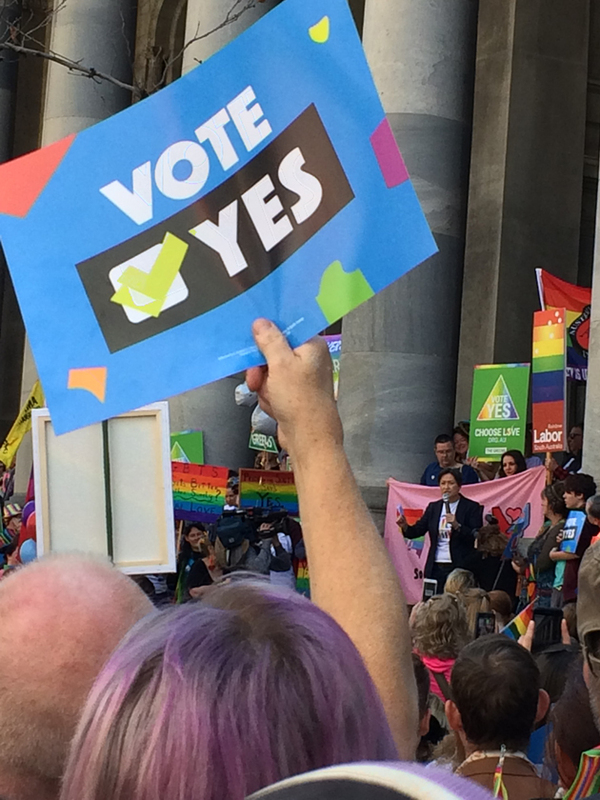 Reinstating marriage equality is choosing social inclusion, fairness, kindness. Beautiful friends and family, I support you. So do many many others. I hope we get a big ‘yes’ from Australia and that the law changes (back). My and Tangerine Man’s marriage isn’t perfect, but nobody tried to prevent or argue against us getting married. Why should all adults not have the chance of the same opportunity and recognition? I hope you have had a wonderful weekend/week! 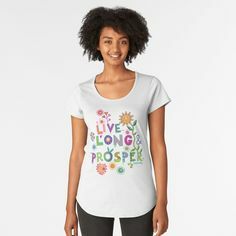 Leave a kind comment below if you like! Hateful comments will be deleted without discussion. PS Be Kind A2 poster prints (from Part 1) are here. 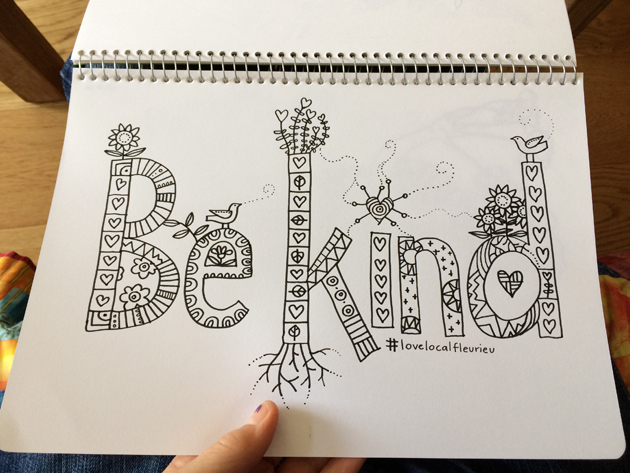 Work in Progress: Be Kind – Part 1 is here. PS 2 Marriage Equality rainbow heart t-shirts are here. 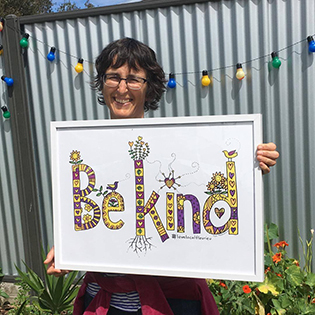 And I am rather nerding out that the title of this blog post, not only refers to the artwork and sketches below and relates to the rainbow rally I went to on the weekend (more on that in Part 2) but also reminds us me that being kind to self and others is a process! The final result needed to be horizontal, so I took the middle one (can you see the little pencilled ‘this one’ star at bottom right?) and redrew in a horizontal format. The final artwork is below. I then scanned and re-traced within the computer so it could blow up and shrink down without losing quality. Here is the final event picture. 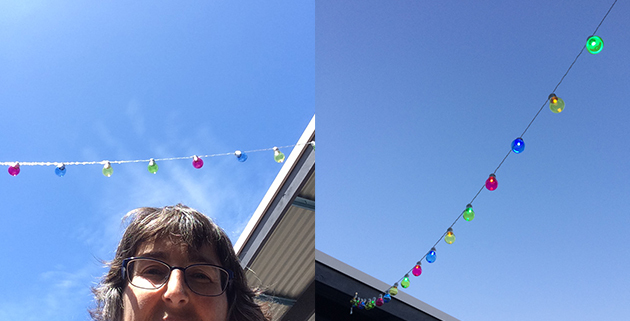 I took the grainy photography at right – with my phone – as the light faded! You may have seen the postcard-sized version on my instagram. By the way, Project Work Life and I are making available an A2-sized, signed print, limited to just 20 or however many are ordered by Friday, whichever comes first! 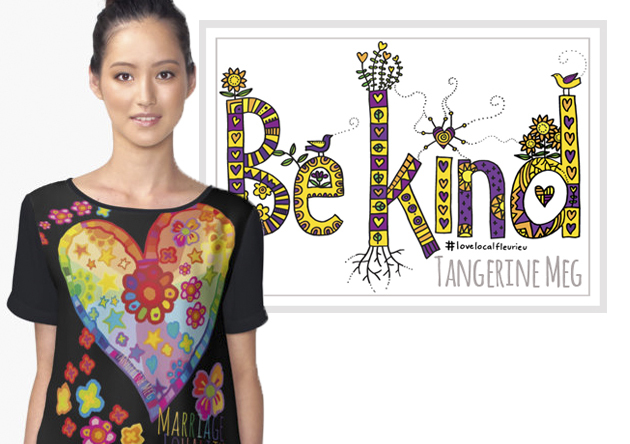 Go here to get your Be Kind print, pick up only. 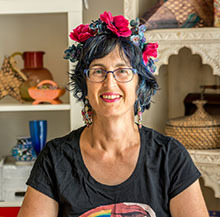 This Red Bubble mockup lady is wearing the Marriage Equality rainbow artwork from my Red Bubble page. More on that in the next post, or click the picture to check it out right now! She’s my visual segue (segway?) 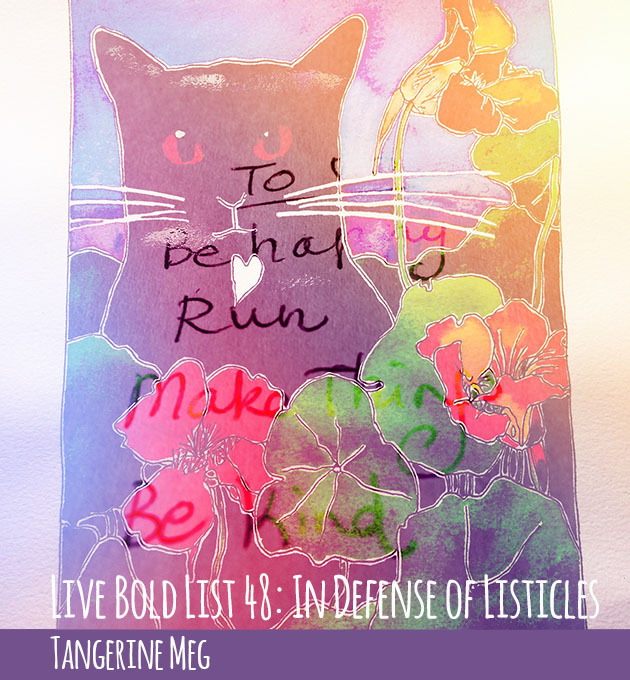 to the Work in Progress: Be Kind – Part 2. Remember to be kind to yourself! Hopefully learning even more how that works will make for more ease when you are being kind to others. See also: Full cup, overflowing. PS Be Kind art prints available here until Friday or sold out. PS2 Marriage Equality rainbow art t-shirts are here. Work in Progress: Be Kind – Part 2 is here. PS 3 If you want to share this on Pinterest (please do), use this tall version! Gorgeous gifted Autumn fruit leads to luscious still life! Mother Nature you surprising, wonderful thing! 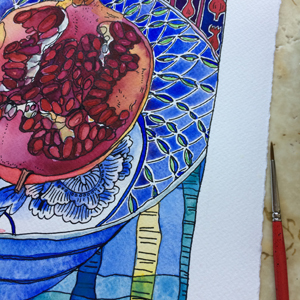 Who could have know when our permaculture garden designer – and bold art calendar stockist – Nadja from Nadja’s Garden came around bearing a large pomegranate, that a colour still life was hiding inside? I didn’t! 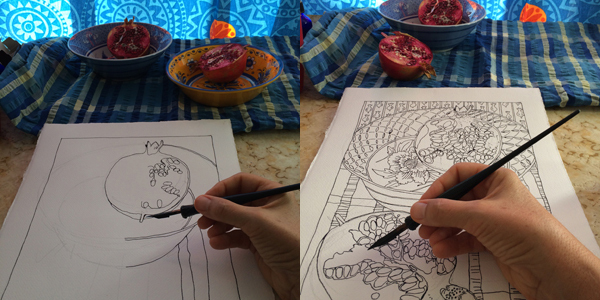 It’s not easy to hold the phone in my left hand and hover my right – without messing up the drawing! 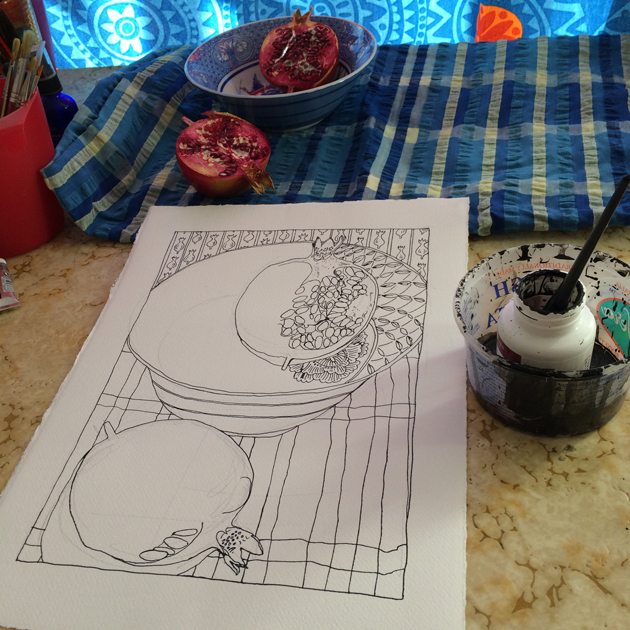 Here’s a pic from somewhere in between those two ^^ of the drawing stage, including my salubrious equipment! The tablecloth is an inherited seer sucker (Note: not “See ya, sucker!” Haha!) cotton, and the blue flower and ikea circle cloth behind was pinned up before we had curtains with actual curtain rods to keep out that late Summer heat. 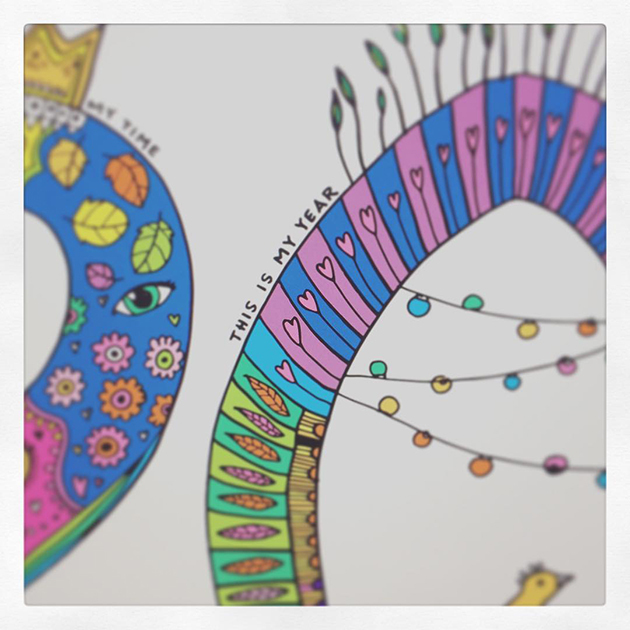 Here’s a little section of the artwork, finished. Click through to see completed and in entirety in my gallery shop. Or even make it your own if it’s calling to you! What’s your feeling when you look at this? I’d love to hear on Facebook or below in the comments. PS New art collector or want to be? 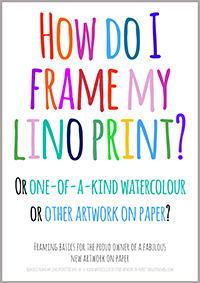 Click this to learn about framing artworks on paper – it’s not as other worldly as you think! – and click this to check out my new Art Collectors board on Pinterest! 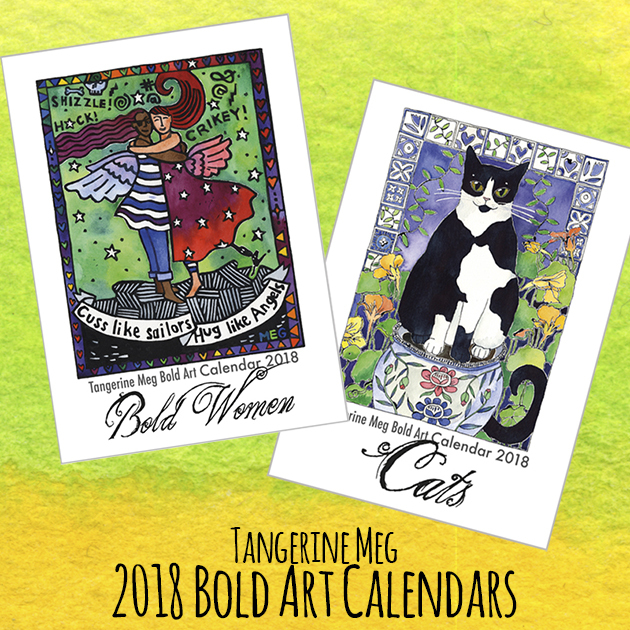 PS2 Beside calendars held by dear stockists, I’ve just seven (7) copies left of the 2018 Cat Calendars, 14 left of Bold Women and 26 Still Life … click this if you want to be sure and get yours! The Pomegranate pic is featured in June of the 2018 Still Lifes calendar. PS3 If you want to share this on Pinterest (please do), use this tall version!